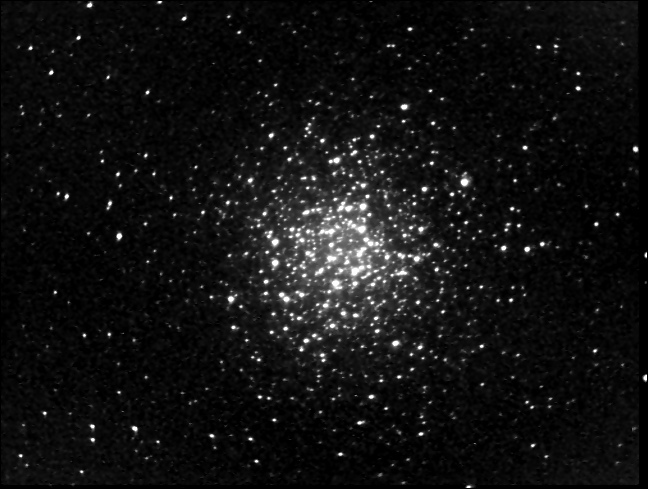 Messier 55 (also known as M55 or NGC 6809 or “The Summer Rose Star”) is a globular cluster in the constellation Sagittarius. It was discovered by Nicolas Louis de Lacaille in June 16, 1752 while observing from South Africa. This photo was taken by Jerry Hilburn at Catfish Observatory in September of 2005.